Glass or solid? Hinged, pivoting or sliding? Framed or frameless? There are so many options when it comes to doors. Ever wondered how to provide a slimline glazed solution without compromising acoustics? Well with the Edge Door, there is no compromise. 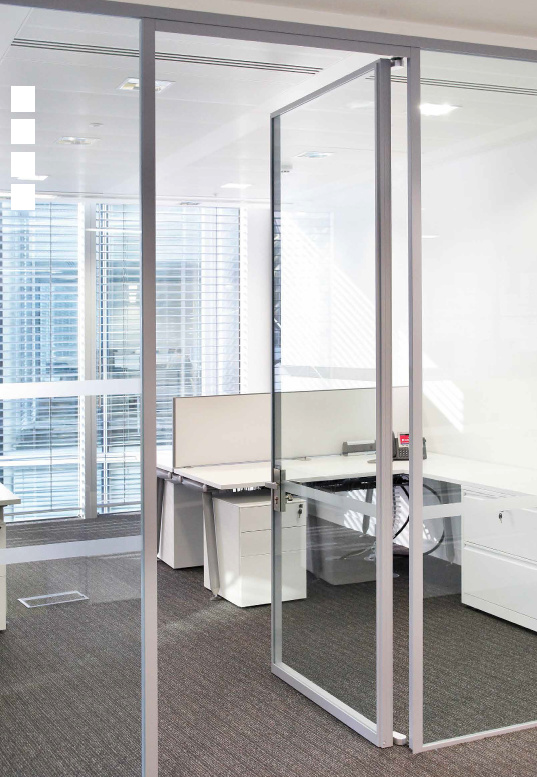 With a lab tested rating of RW36db and the flexibility of integrating with all Optima systems as well as conventional partitions, the result is flexibility to design a workable space that is both practical and stylish.